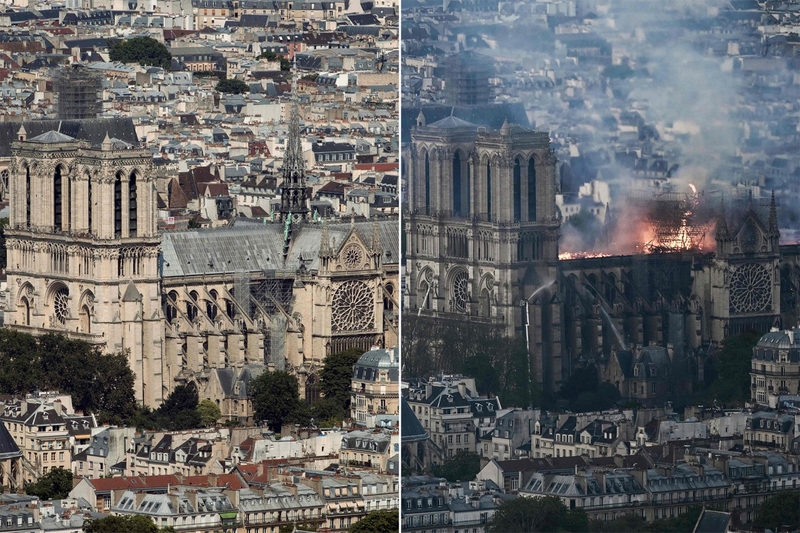 Notre Dame: Before and After | Poal: Say what you want. Before Islamist migrants and after Islamist migrants. These satan worshipers won't give up until there are no non-Muslims left. It's in the Koran, in the devil's own words. I actually am starting to wonder if your suggestion here is correct. Quran 9:5 (5th verse of the 9th Sura). Remember that Muslims are instructed to lie about their true intentions. Islamists let moderate Muslims speak as if they all belive in peace. Peace with other faiths was only written in the early Quaran. The later Quran was quite different, as the goat fucker went insane and declared he was THE PROPHET. Muslims, moderate as well as extremist, intend to be the only ones left at the end of the world. Quran 9:5 (5th verse of the 9th Sura). “"Then, when the sacred months have passed, slay the idolaters wherever ye find them, and take them (captive), and besiege them, and prepare for them each ambush. But if they repent and establish worship and pay the poor-due, then leave their way free. Lo! Allah is Forgiving, Merciful"” Remember that Muslims are instructed to lie about their true intentions. Islamists let moderate Muslims speak as if they all belive in peace. Peace with other faiths was only written in the early Quaran. The later Quran was quite different, as the goat fucker went insane and declared he was THE PROPHET. Muslims, moderate as well as extremist, intend to be *the only ones left* at the end of the world.